Although research has demonstrated that violent video games can promote aggressive and antisocial behavior in children, more benign video games that focus more on storytelling may benefit children that have difficulty interacting with others, such as those with autism. Daniel Bormann, PhD, University of Freiberg, Germany, and Tobias Greitemeyer, PhD, of the University of Innsbruck, Austria, said that such video games let people get immersed in the game’s narrative. This, in turn, “encourages players to experience social connectedness and meaningful social interactions,” Bormann said in a statement. 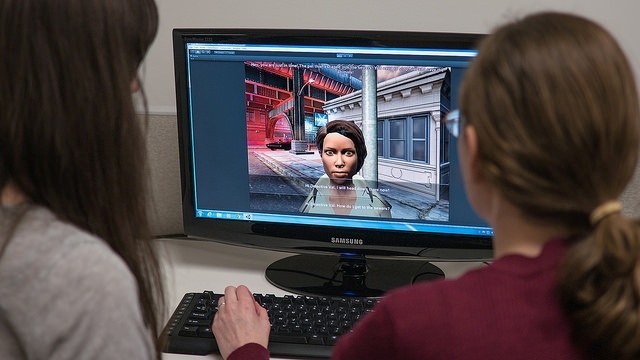 In their study, Bormann and Greitemeyer assigned participants to play one of two video games. In the first game, Gone Home, players become a female college student returning home after a year abroad, finding an empty house and clues to what has happened to her missing family members. In the second game, Against the Wall, a player has to climb up an infinite wall by interacting with the bricks. However, there are no narrative elements in this game, and was considered a “neutral” video game. In the Gone Home group, after 20 minutes of play, participants completed a task that assessed facially expressed emotions. The purpose of this was to evaluate the participants’ capacity to understand the emotional states of others, known as theory of mind. They also filled out a survey to determine the amount of immersion and satisfaction they experienced while playing. Being immersed in a game’s story led to players sensing opportunities for meaningful choices and relationships, and also boosted their theory of mind, Bormann and Greitemeyer reported in the journal Social Psychological and Personality Science. They added that this could also build skills useful to the children on a daily basis. “If further research could reveal how exactly in-game storytelling affects theory of mind, clinicians and software developers could utilize this knowledge to develop tools to aid the treatment of disorders characterized by social-interaction impairments, like autistic disorders,” Bormann said. Bormann D and Greitemeyer T. Immersed in Virtual Worlds and Minds: Effects of In-Game Storytelling on Immersion, Need Satisfaction, and Affective Theory of Mind. Soc Psychol Personal Sci. 2015; doi: 10.1177/1948550615578177.